Planning to do some food shopping for the July 4th holiday? Be sure to stop by Tuesday, July 2 at the Whole Foods Market on River Road in Bethesda. The store is donating 5 percent of that day’s sales to Bethesda Green. Also, be sure to stop by and say hello. Bethesda Green will be staffing an information table at the store throughout the day and may be helping out with bagging your groceries. We thank Whole Foods Market for their support. Shop Whole Foods Market Bethesda on Tuesday, July 2. The store is located at 5269 River Road, Bethesda, MD 20816. Filmmakers and co-hosts at the Festival. 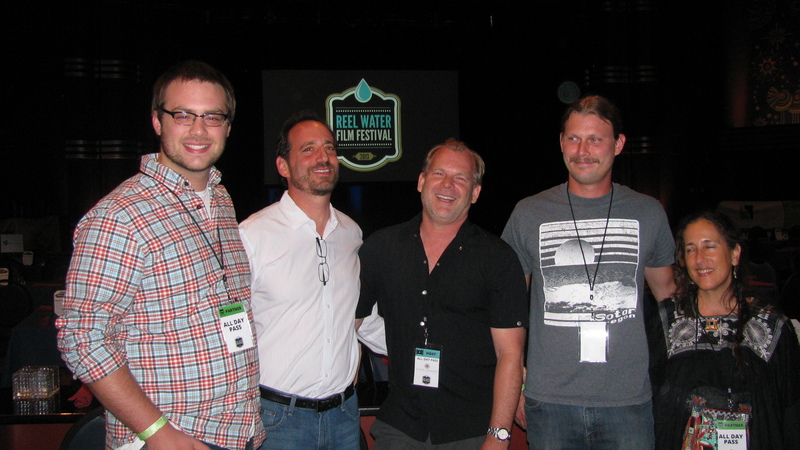 The second annual Reel Water Film Festival, hosted by Bethesda Green, Journey’s Crossing and Mark Leisher Productions at the Bethesda Blues & Jazz Supper Club this past Saturday, helped educate the community about water issues both around the world and at home. About 450 people showed up throughout the day with 15 different local non-profits represented. Displays in the lobby from sponsors of the event and partner organizations informed festival goers about how they can get involved in all aspects of the environment, not just with water issues. Once everyone found their seats, Dave Feldman of Bethesda Green kicked off the afternoon splash with a brief introduction about the festival and the importance water has in all of our lives. The audience was then treated to 21 short films of different genres including animation, documentary, narrative, and claymation. All of these films focused on the central topic of water and how everyone is affected by it, but some in more life threatening ways than others. Visit this webpage to check out the short films presented at the festival. After a brief intermission, round 2 of the festival began. People had the option of attending a gourmet taco and fajita bar for dinner, or finding their own food and just watching the feature presentation Chasing Ice. The movie captivated the audience as it portrayed the alarming rate in which glaciers are melting due to the changing climate. Half of the proceeds from the festival are to be donated to a rural community in India that will facilitate getting water to a small medical center, school, and orphanage as well as funding a local stormwater management project in Bethesda. We can only hope that the event was able to inspire people to reconsider their relationship with water and get involved with this issue. Annapolis Green is is bringing Dartmouth College’s Big Green Bus to Annapolis this Friday, June 21, 9:30 – 11:30 am to focus its “vehicle for change” campaign on clean water and the Chesapeake Bay. Members of the Big Green Crew will share their personal stories about how they developed their sustainability philosophies and how they’ve come to make lifestyle changes to adjust to pressing environmental and social issues. The biodiesel-fueled bus carries a dozen Dartmouth students aboard for the summer as they travel the country — from sea to shining sea — “promoting positivity and enthusiasm for the environmental movement” and celebrating what the environmental community is already achieving. At the two-hour stop in Annapolis, the Big Green Bus will park near the National Sailing Hall of Fame at City Dock and conduct video-taped interviews of a half-dozen environmental leaders and enthusiasts who will be asked to tell their stories about the importance of clean water and the Bay to their lives. At the end of the bus tour, in the fall, members of the Bus crew will create a documentary about their experiences. Think of this as a cross between NPR’s Story Corps and On the Road with Charles Kurault. The Big Green Bus visit is a part of Annapolis Green’s “Red Right Recycle” initiative promoting Greening of waterside events such as the U.S. Boat Shows in Annapolis. We’ll be recording audio of these stories and any YOU would care to share with us, to air next week on our radio program, Living Green in Annapolis. Let’s show them a big welcome, share our stories … and check out their very cool bus! Information about the Big Green Bus: www.thebiggreenbus.org. Enjoy live music and great food, meet local organizations making a difference, and check out short films from all over the world on Saturday, June 15 at the Bethesda Blues & Jazz Supper Club in Bethesda, MD. Among the more than 50 short films submitted to the festival, we have selected the best storytelling and cinematography covering a wide range of water-related topics such as wild weather, storm water management, lack of access to clean water, innovation around clean water, and more! 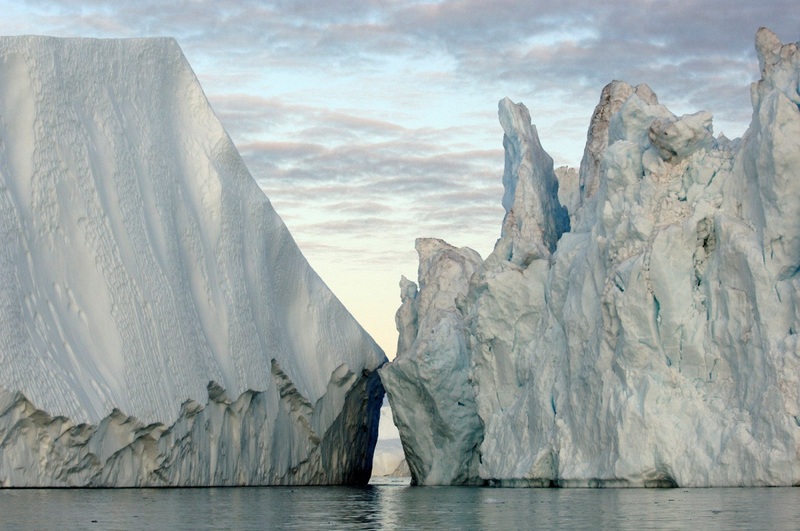 Scene from Chasing Ice, the evening feature at the June 15 Reel Water Film Festival in Bethesda. You can stop by for an “Afternoon Splash” featuring short films, come for the “Dinner & A Movie” highlighted by the award-winning documentary CHASING ICE, or stay for the entire festival and find out how you can make a difference! Click here for ticket options and more information. The Reel Water Film Festival is a non-profit event, with at least 50% of the proceeds donated to water projects in developing countries and right here at home. Additional funds help support the continuation of the festival for many years to come. 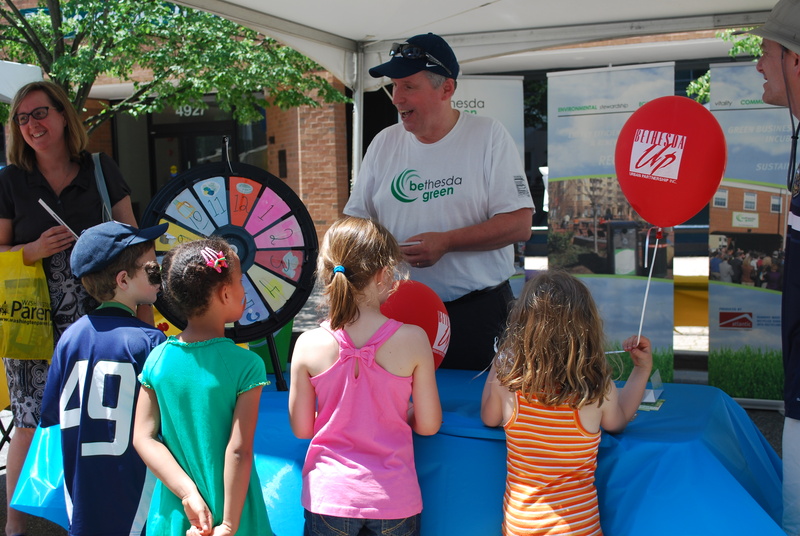 Children gathered at the Bethesda Green tent to answer environmental questions. On the first Saturday of June every year, Bethesda Urban Partnership sponsors a festival for the children of Bethesda and surrounding area. The 19th annual Imagination Bethesda proved to be extremely successful, despite the scorching heat, drawing about 15,000 children and parents to watch performances, listen to foreign language storytelling, make crafts, and enjoy a variety of other activities. Children were beaming with delight as they participated in activities involving a wide array of skills and experiences. At the Bethesda Green tent, kids created environmentally friendly crafts and tested their knowledge for the chance to win a small prize. We provided the kids with recycled scrap paper and markers so that they could make armbands or add links to our eco-friendly paper chain. The purpose of these small crafts were to show them that they don’t have to throw away something after using it only once; instead, they can reuse items multiple times to reduce the amount of waste we send to landfills and recycling centers. On the other side of the tent both parents and children were equally stumped by our environmental trivia questions. These questions forced families to think about our environmental impacts, both as a nation and individually. Children potted flowers at the American Plant tent. Bethesda Green dedicated Saturday to creating awareness about environmental issues in the fun and vibrant atmosphere that is the Imagination Bethesda festival, with other organizations promoting sustainable values as well. 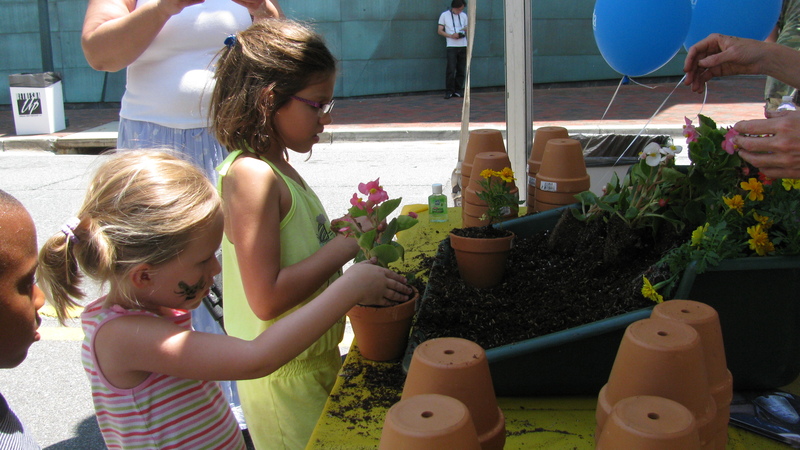 At American Plant, children were given the opportunity to plant their own potted flowers. Joy of Motion Dance Center had visitors make paper chains and lanterns from recycled paper. Other organizations promoted language development, multicultural awareness, and creative development. Whether or not an organization promoted green values, they all worked to equip children with the skills necessary for a better future.